Software and hardware are finally becoming more responsive to expression from more than one finger at a time, via MPE. But how do you get those sounds under your hands? Sensel Morph is one answer. And now it has an appealing layout from one of the people who shaped synthesis – Don Buchla. The answer to this has always boiled down to some chicken and egg arguments. You don’t have the hardware to control sounds. You don’t have software capable of making sounds for which you’d want more control. There isn’t a standard way of connecting the two. Even if there were, there wouldn’t be enough adoption. And so the argument continued, in circles. And it was actally true – for a while. But now, software instruments from Sculpture in Apple’s Logic to the Moog and PPG apps on iPad to Softube and Cherry Audio software modulars have MPE (MIDI Polyphonic Expression) support, which allows for more control information between your controller and your sounds. Hardware like Black Corporation Deckard’s Dream and various Eurorack modules do, too, so you can really get your Vangelis fantasies on. And sounds like physical modeling or granular synthesis or even just rich polyphonic patches suddenly make sense when you can intuitively connect all that finger sensitivity to electronic instruments. Okay, that handles a lot of rational reasons to consider this device. But to really feel passionate about something as an instrument, you actually need one layout that you stick with, and it has to resonate emotionally. So here’s the interesting development. Sensel have partnered with Buchla U.S.A. to recreate a classic instrumental interface that might have just been a bit ahead of its time. Don Buchla conceived the Thunder in 1989. 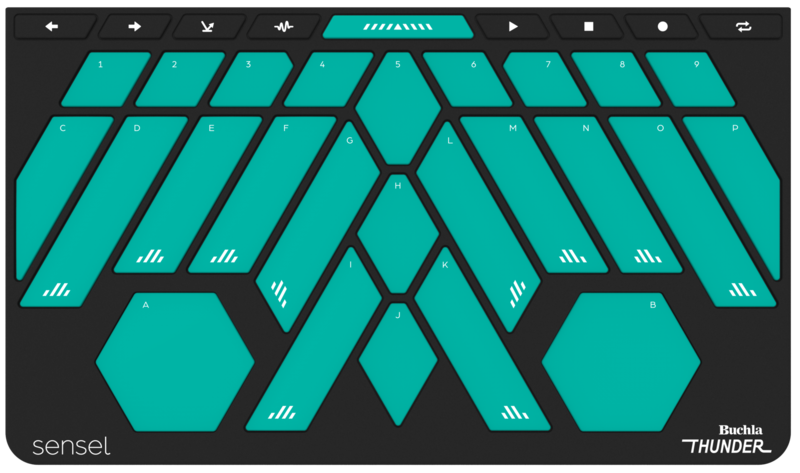 The layout makes loads of sense — diagonal strips give you continuous control, but with guides that match a resting hand position and put controls where your hands would go. It’s a layout that looks like something out of Star Trek – and, well, it also proved to be mostly speculative, because few were made and there wasn’t at the time as much for it to control. Now times have changed – both hardware and software are far more powerful, meaning they’re capable of generating the sort of real-time nuance that demands this sort of control. And apart from that, whereas for years Buchla’s designs languished because they seemed foreign, now more and more people seem to be ready to make weird and complex sounds. It seems like the Thunder is poised for a comeback, that is. The Thunder overlay, combined with the Morph sensor, gives you 27 different continuously-sensitive note areas. That’s already useful for conventional MIDI, but with MPE you get independent values for velocity (how hard you initially hit it), how hard you’re pressing down at any given moment, and how quickly you release. You can bend notes by subtly shifting your fingers sideways, or map timbral parameters to position. Buchla’s 1989 hardware. There have also been touch version for modular. A pre–production prototype of the new overlay – final production run looks better, Sensel tells us. Courtesy the manufacturer, for CDM. It’s also encouraging that Sensel involved Buchla designer/engineer Joel Davel. Joel has unparalleled bona fides on both the engineering and artistic side, having made circuits for Don from 1995 onward, and working as a composer and instrumentalist with ongoing collaborations with Amy X Neuburg and Paul Dresher. The recent history of electronic music is defined by nothing if not the spread of once-esoteric ideas from limited elite contexts to wider groups of curious minds. So even though this may be a piece of rubber you slap on a rectangle on your desk, it also represents the potential of some of those ideas getting in the hands of new people. Anything that has a USB port will work with this – so computer software is the natural companion, though if you have a USB host device that outputs control voltage, you can also hook it up to a modular. If you want to see it in action and you’re in Anaheim, Sensel are demoing the hardware and overlay at NAMM this year. So sure, this won’t be for everyone. 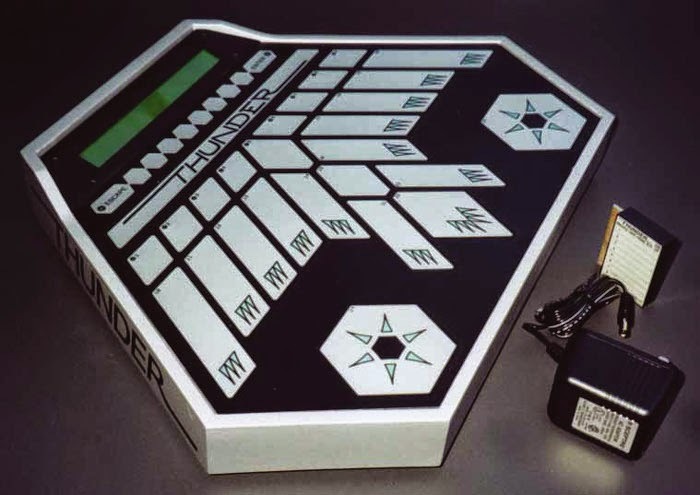 And yeah, it still looks like you’ve invested in a Klingon gamepad. But for the cost of a plug-in, you can now use this – and add some productivity on the side as you mix or edit in other applications. I should have one to test. 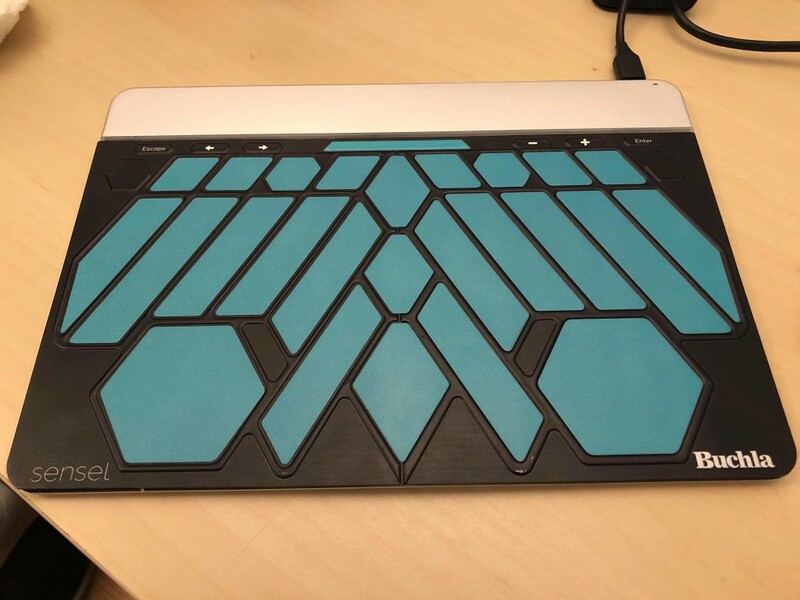 I’ve worked with the Morph – the sensing and physical experience are great – so now I’m just waiting to see what it’s like using this as an instrument. And I look forward to doing some practicing.